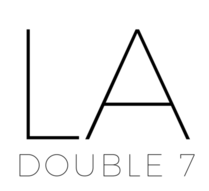 Ombre – LA Double 7, Inc. This cozy and soft viscose beige oblong scarf is lightweight, and perfect to wear in transition season. Features an ombre/tie dye design, an ideal pattern for the spring and summer months. Works with casual outfits as a shawl, headscarf, or classic neck scarf. This fashionable scarf features a gradual pattern of leopard print to lace-print. Comprised of an elegant semi-sheer, soft fabric, to complete the beautiful look and feel of this scarf. Tie as a neck scarf, or wear as a head scarf for optimal use of this accessory. Comes in a variety of six trendy colors. A neutral tie dye finish makes this lightweight scarf easy to mix and match with a variety of outfits. Stay warm while embracing colorful style with this tie-dye loop scarf. The lightweight design makes this scarf comfortable for long evenings out, and the acrylic construction offers excellent longevity. Ombre accessories are a staple for any fashionista, and this scarf is the perfect example! Pair this ombre oblong scarf with your outfit of the day for added style.